Vietnam cats buried alive? News report says it may have happened. One of the seized crates. “The cats were from China, with no official origin papers and no quarantine,” a policeman from the Dong Da district environmental police said, speaking on condition of anonymity. “Several of them had died, there was a terrible smell that could affect the environment and carried risks of future diseases,” he said. “Therefore, we culled them by burying them,” he said, declining to confirm how many were alive at the time of burial. 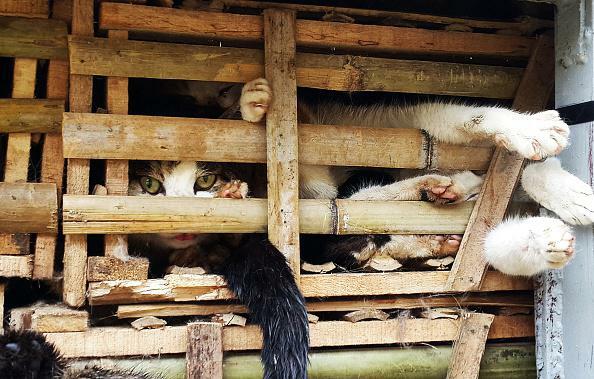 The seizure was originally reported on Jan. 29 by AFP, which has written in the past about the demand for cats created by the local custom of eating the animals. The American Society for the Prevention of Cruelty to Animals’ website lists a number of options for individuals interested in promoting animal welfare.